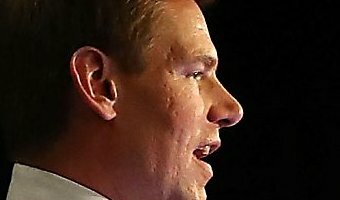 Eric Swalwell has visited Iowa 10 times in last year and a half. Is he running for president? By Casey Tolan | [email protected] | Bay Area News Group PUBLISHED: August 9, 2018 at 7:00 am | UPDATED: August 9, 2018 at 7:24 am East Bay Rep. Eric Swalwell spent two days last week in a Winnebago nicknamed “Sioux City Sue,” road-tripping across rural Iowa to campaign for a fellow Democrat. He’ll be back again this weekend, speaking on the soapbox at the State Fair and stopping by a corn boil in Baldwin, population 109. 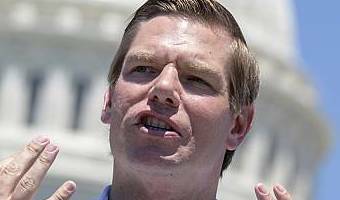 That latest foray will mark Swalwell’s 10th trip to Iowa since President Trump took office — a travel schedule that’s raising eyebrows about the 37-year-old congressman’s presidential ambitions. Politicos in the Hawkeye State, which holds the first presidential nominating caucuses in the nation, say Swalwell has spent more time there over the last year and a half than nearly any other potential Democratic presidential candidate. His frequent trips come as he’s skyrocketed from obscurity … [Read more...] about Eric Swalwell has visited Iowa 10 times in last year and a half. Is he running for president?